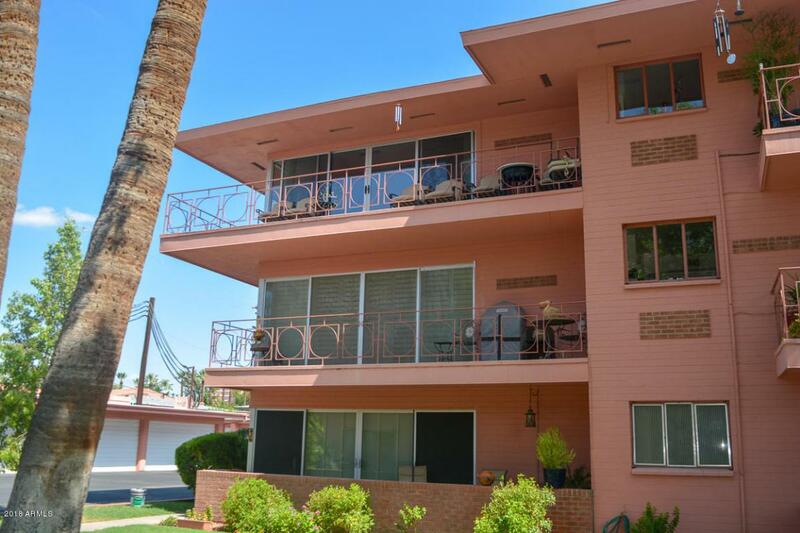 Top floor condo in this amazing historically designated Mid Century Modern complex with mature landscaping, lush grass common areas & 2 pools. 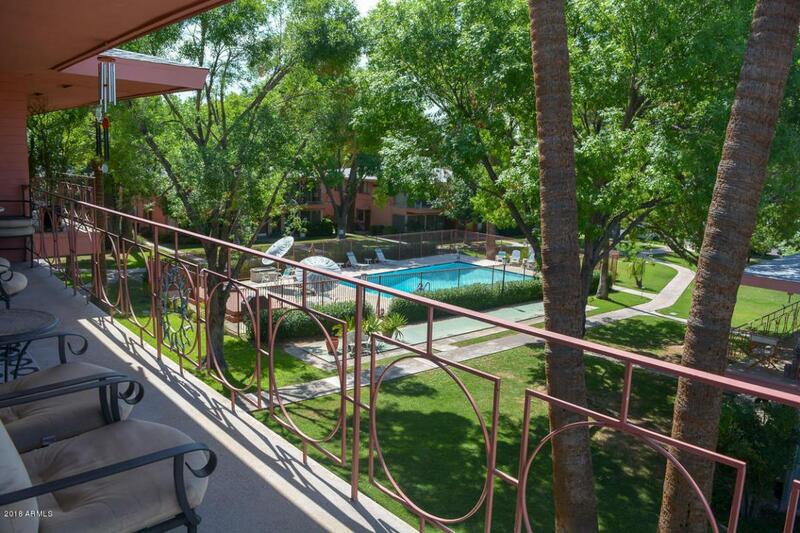 Located within the commerce, art and culture of Downtown Phoenix including Chase Field Ball Park, Talking Stick Arena, Phoenix Art & Heard Museums, Light Rail, Theaters, Restaurants and endless entertainment! 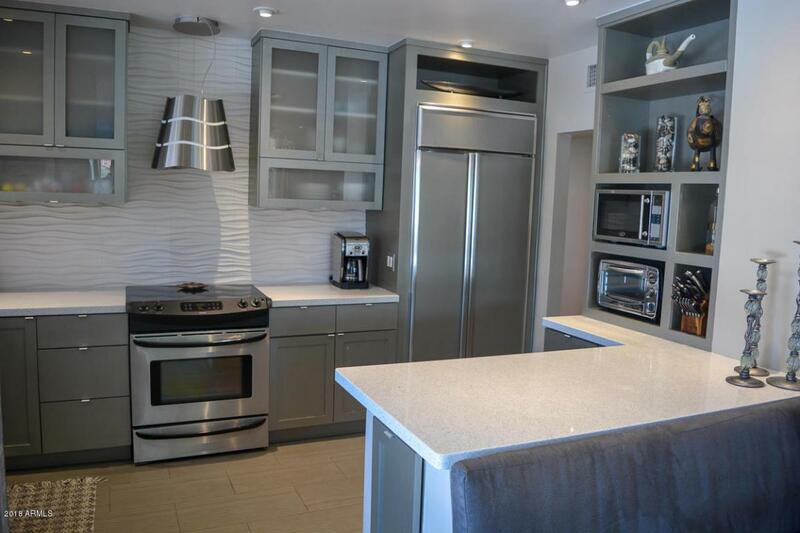 This condo is beautifully updated with the largest floor plan and unique wrap around balcony plus a 2 car garage. Walls of window/doors open to awesome great room with beautiful birch floors. You definitely must see to appreciate the attention to details. 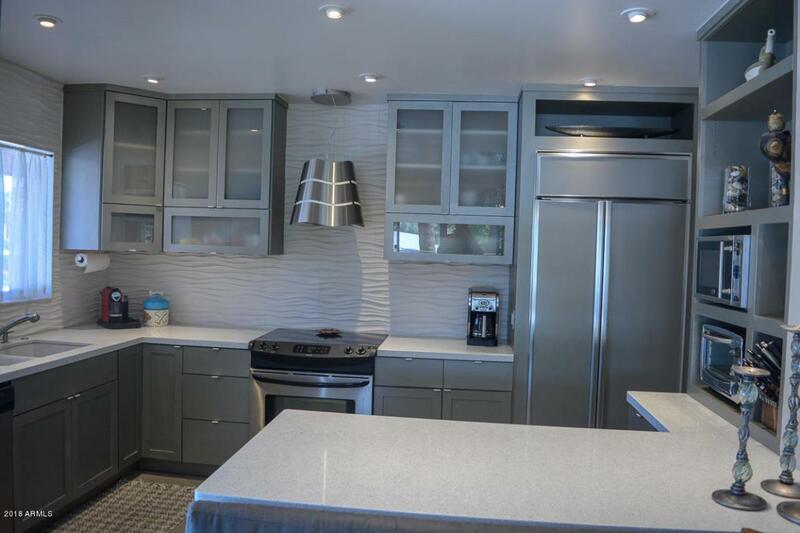 Monthly HOA fee also includes electric & water.